Winter season is finally here and along with it comes common cold and flu. The changing season takes a toll on many people's health. If you have also been caught in its ambit, fret not, we're here to help. With the help of some natural ingredients, you can say bye-bye to cold and flu. For instance, onion juice, a humble kitchen ingredient, may help keep cold and flu at bay. According to the book 'Healing Foods' by DK Publishing House, "Onions contain dozens of medicinal chemical compounds that have antibacterial and anti-inflammatory actions in the body and promote good heart and gut health." The book also notes, "The sulphur compounds in onions, including thiosulfintes, sulfides, and sulfoxides, are responsible for their powerful antibacterial and antiviral action, and unique taste." In order to get the best out of this natural ingredient, use it raw or braise lightly in stock or broth. Highly-flavoured onions contain the most healthful compounds. 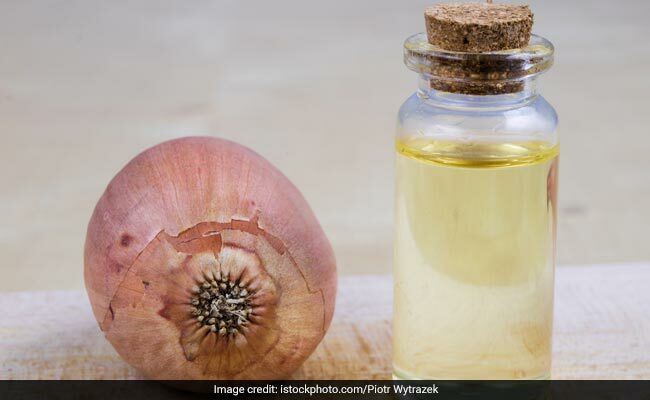 According to Ayurveda Expert, Dr. Ashutosh Gautam, "Onion juice has antimicrobial and bronchial dilation action, and it tends to expel the phlegm. Hence, 1/2 teaspoon is good and can be consumed with honey." A simple cold remedy, as per the book 'Healing Foods', is to mix onion juice with honey and take 2-3 tsp daily, when you are fighting a cold or feel one coming on. Red onions contain pigments known as anthocyanins that give red onions an antioxidant boost; whereas, spring onions contain immunity-boosting sulphur compounds. There is no denying the fact that onion comes packed with various essential nutrients. Hence, to fight symptoms of cold and flu, you may bring onion to your rescue.